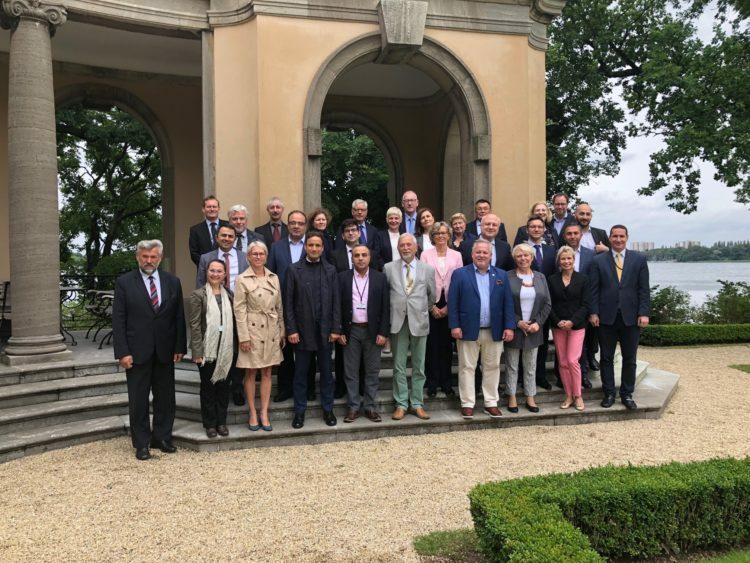 The OSCE Parliamentary Assembly and the German Bundestag, with the support of the German Foreign Ministry, hosted a seminar entitled, “Addressing Potential Ethnic Conflicts Through Law and Good Practices,” on 11-12 July at the Villa Borsig in Berlin. 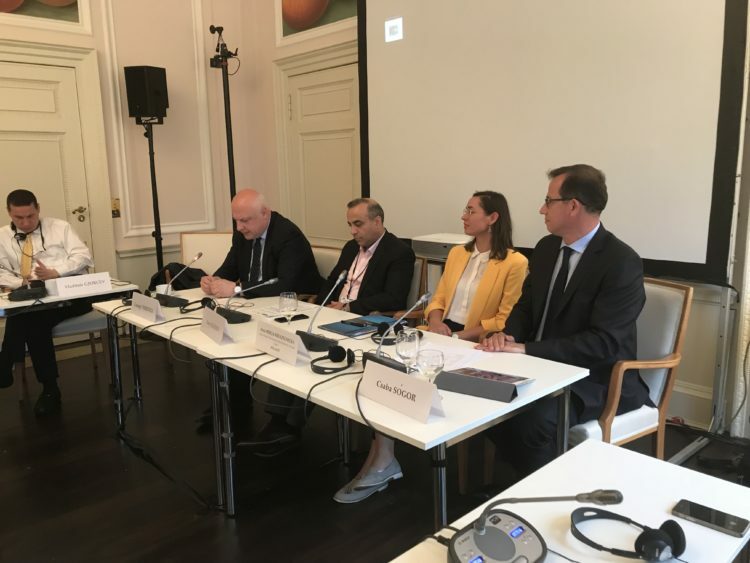 The seminar was organized as a follow-up to the OSCE Parliamentary Assembly’s 27th Annual Session, which had taken place in Berlin on 07-11 July 2018. The seminar took place four years after the launch of the Vienna Process, which aims at enhancing parliamentary contributions to finding solutions for the many conflict-related developments in recent OSCE history. The focus of this year’s seminar was on national minorities. ERIAC was the only Roma stakeholder represented at the event. Dr. Anna Mirga-Kruszelnicka participated in the last session, which focused on the situation of minorities in South and Eastern Europe. 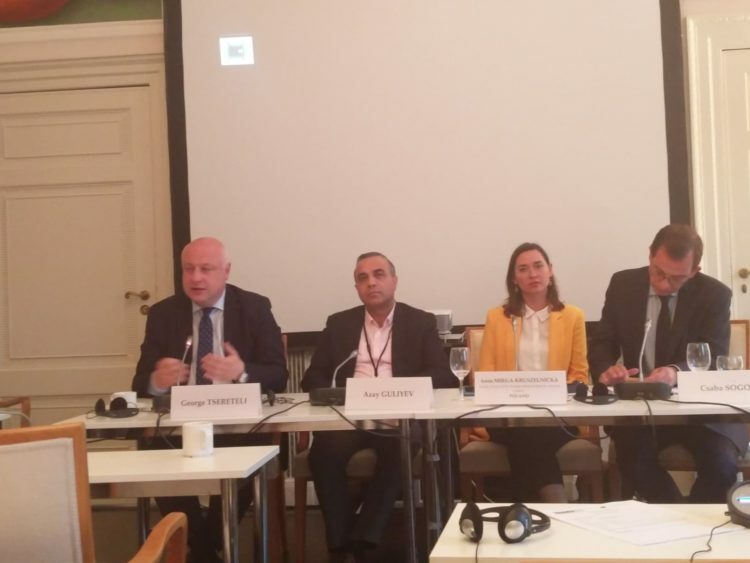 Other speakers included Mr. Kristian Vigenin, the Vice-President of the OSCE PA and MP from Bulgaria and a former Minister of Foreign Affairs, and Mr. Csaba Sogor, an MEP from Romania and representative of Hungarian Minority. 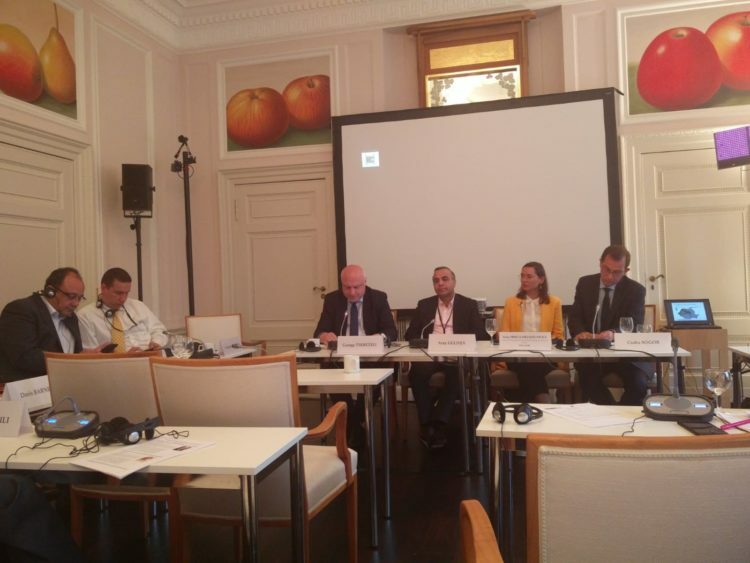 The session was chaired by Mr. Azay Guliev, the Vice-President of OSCE PA. The event was closed with final remarks by Mr. George Tsereteli, the President of the OSCE PA, and Ms. Doris Barnett, the OSCE PA Treasurer and Head of the German Delegation to the OSCE PA.